Anton Paar’s PSA series incorporates fifty years of experience. The world's first laser diffraction particle size analyzer – the first-ever PSA – was invented in 1967. The three models PSA 990, PSA 1090, and PSA 1190 are designed to measure a wide range of particle sizes in liquid dispersions or dry powders. This multiple-laser technology provides you with an extensive range of measurable particle sizes. The single-laser PSA 990 covers a wide measuring range of 0.2 μm to 500 μm. For an even broader range, PSA 1090 and PSA 1190 have a unique optical design for diffraction analysis, which includes multiple lasers. While PSA 1090 has been designed with two lasers to resolve particles as small as 40 nanometers, PSA 1190 contains an additional third laser to cover the full measurement range of up to 2.5 millimeters. 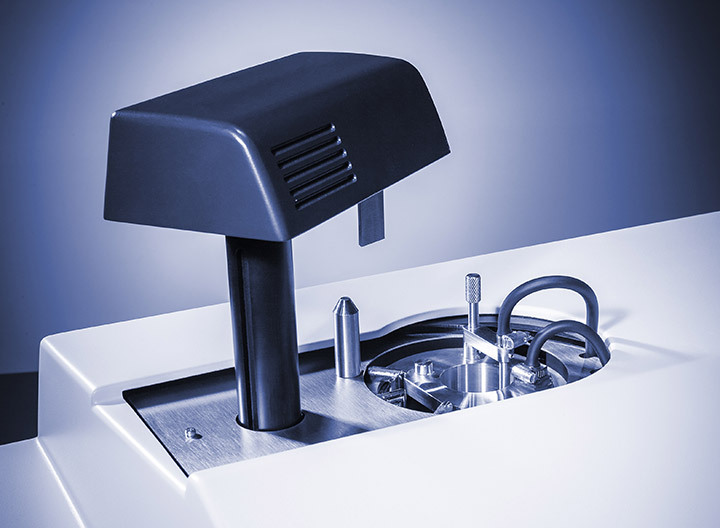 PSA instruments are the only particle size analyzers that can be configured with both fully integrated liquid and dry dispersion modes in one instrument. This unique design eliminates the need for the operator to handle several accessories or make manual adjustments. The software enables the switching between liquid and dry dispersion modes with a single mouse click, which saves time and prevents operation errors. There is no need to exchange the hardware, re-validate, or re-align sensitive optics when switching between dispersion modes. The size distribution of dry powders is often difficult to measure because the particles tend to agglomerate, which falsifies the results. Dry Jet Dispersion (DJD) technology is Anton Paar’s patented technique (FR2933314) for efficiently dispersing and precisely analyzing powder particles. The innovative design features an air pressure regulator that quickly and easily adjusts the air flow in accordance with the sample properties. The shear forces created by the air flow separate agglomerated particles, and in this way the size of each single particle can be detected. Anton Paar’s particle size analyzers are fully ISO 13320 compliant to meet your requirements for traceable, accurate, and repeatable results. The unique design of the lasers and the optical bench set the market standard for a measurement reproducibility that is better than 1 % variation. Furthermore, the unique optical bench design has all optical components permanently mounted on a cast-iron base plate. This ensures alignment-free operation, even in the harshest environments. 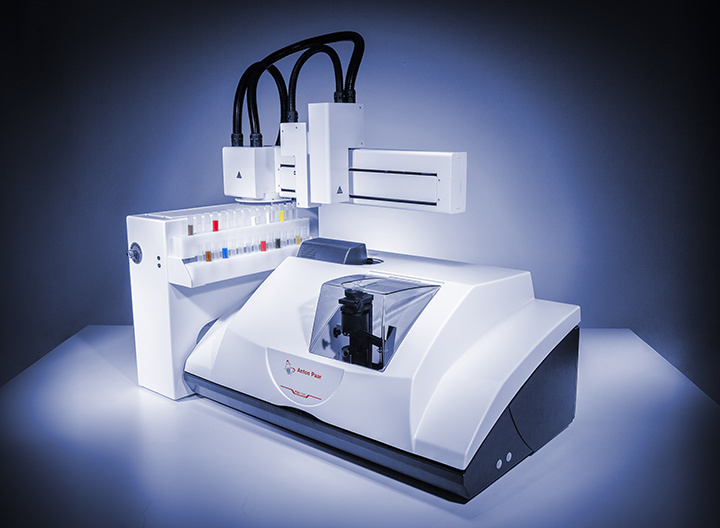 Thus, accuracy, reproducibility, and stability are guaranteed for the entire life of the particle size analyzer.